Why pointillism is not called instead pointism? There is no such word as pointil or pointill in English (or French, where the pointillism comes from), nor -illism is a suffix. 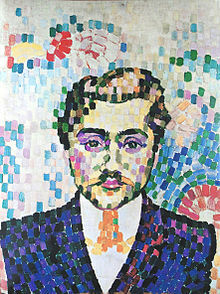 Pointillism refers to a pictorial technique which became common at the end of the 19th century in France (Pointillisme) and Italy (Puntinismo). Its main characteristic was the use of small areas of colour to construct an image. The term originates from French pointilles (small dots) from which Pointillisme. 1901, from French pointillisme, from pointiller "to cover with pointilles," small dots, plural diminutive of point. Pointillist is attested from 1891, from French pointilliste. I think that pointillism qualifies as a loanword. There actually is a pointillisme in French, and you can confirm this by looking up the etymology. What's a loanword? Here's the Merriam-Webster definition. According to the definition, a loanword can be partly naturalized (which I read as modified). Seeing how we have merely lopped off the final letter, I think this fits the bill. I would suggest that there is an element of onomatopoeia that influenced those who happened upon "Pointillism" to describe that painting style. Think of the act of holding a tiny brush and repetitively applying dots to a canvas...there is a repetitive "i" sound in the pronunciation of the word that has a sort of congruence with the action. Not the answer you're looking for? Browse other questions tagged etymology terminology reason-why or ask your own question. Why doesn't “campaign” have the meaning of “countryside” in English? Why “English” but not “Anglish”? Why is “build” spelt with a “u”? Why “curiosity” and not “cury”? Why are “theism” and “deism” different? Why did confort become comfort? If -ment suffix is from Old French, then why does it form nouns instead of adverbs? When did “committee” become a collective noun, and why?